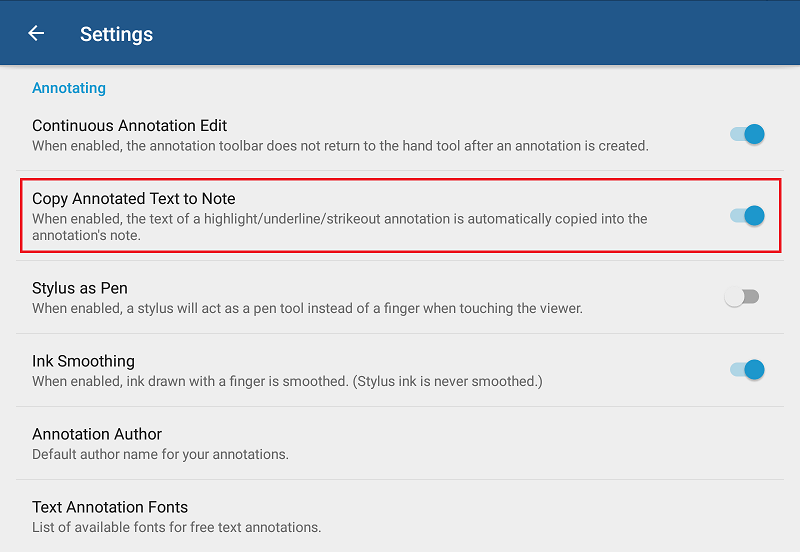 By using the Copy Annotated Text to Note mode, when you annotate a text with highlight/underline/strikeout the text will be automatically copied into the annotation's note. 2. By default, Copy Annotated Text to Note mode is disabled. 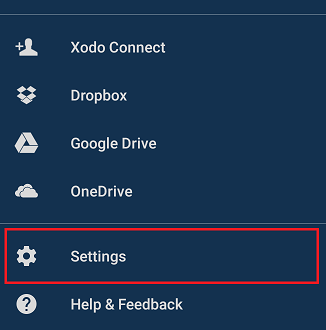 Tap or slide the toggle to the left to enable it.